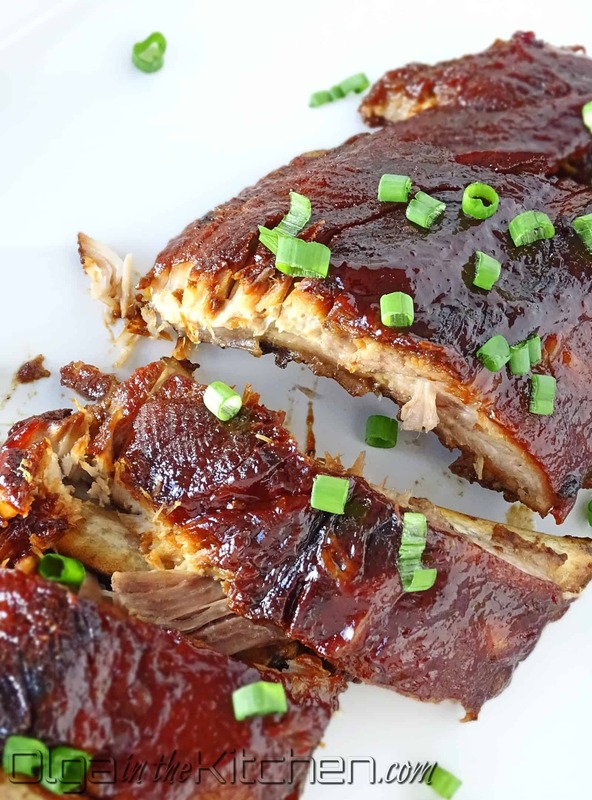 Slow Cooker BBQ Pork Ribs: sweet, fall-apart, tender inside and crispy on top. 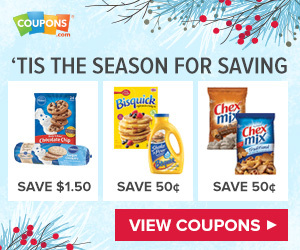 These are staple in our family and work great for any occasion. 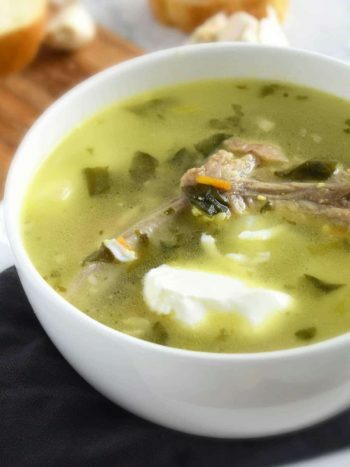 Whether these are smoked or slow cooked – these always turn out to be the best part of the meal! 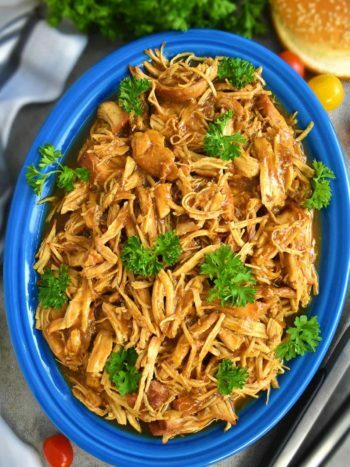 My favorite slow cooker meat! I’d say 4 out of 5 times we have ribs at our family gatherings, whether it’s a holiday, a birthday or just a last minute family party. My sisters usually marinate the meat couple days ahead and smoke them when it’s time, but this recipe doesn’t require marinating. One day I decided to try the same marinade they use for smoked version, but in slow cooker and it turned out D-E-L-I-C-I-O-U-S! All you have to do is place everything into the slow cooker and wait few hours. Once ribs are cooked, I place them into the oven under higher temperature to get that crispy, burned grilled finish like you’d see on smoked ribs. Add mashed potatoes or pasta, a salad and you’ve got a full, tasty meal. 1. Place pork ribs into a large bowl. Add 2 cups of ice and cover with cold water. Set aside while you make the marinade (about 20-30 mins). In a large bowl, combine and whisk: 2/3 cup spicy brown mustard, 1 cup apple juice, 4 tbsps Worcestershire sauce, 2 cups packed brown sugar, 2/3 cup warmed honey and 2 tsps salt. Set aside. 2. Rinse ribs in cold water and paper towel pat dry. Place ribs into the slow cooker bone side up. 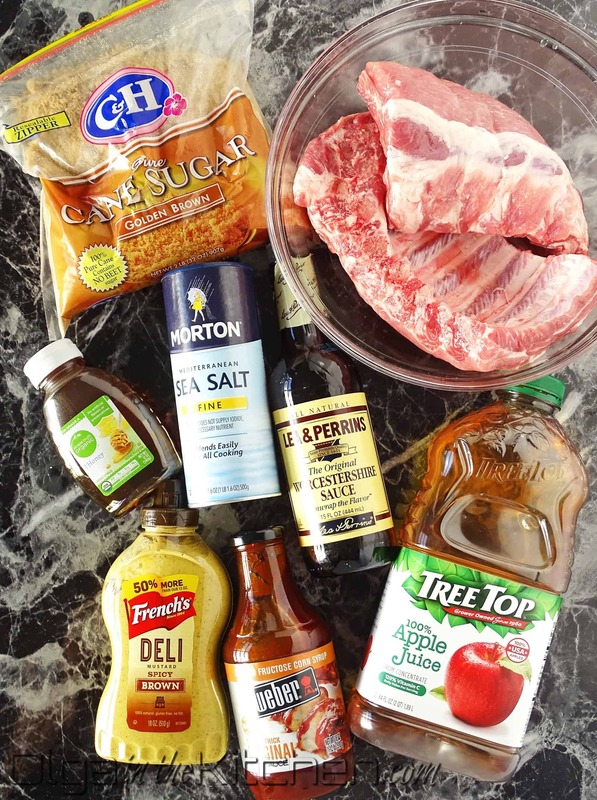 Pour the marinade over the ribs and turn ribs to dip in marinade. Set slow cooker to “Low – 5 hours”. After 4 hours, check if the meat is coming easily off the bone. 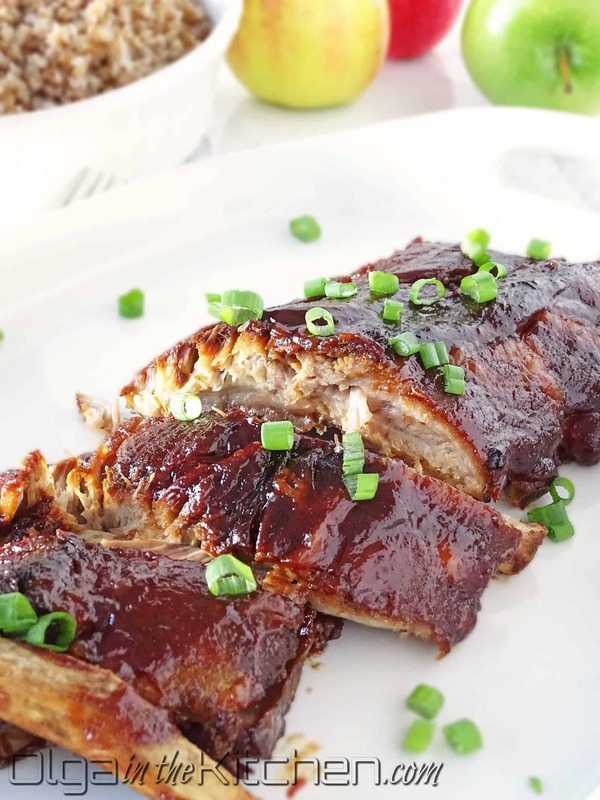 (Sometimes pork baby back ribs come less meaty and are ready in 4 hours while other times they are meatier and need to cook slightly longer). Preheat oven to 400°F. Brush bottom of baking dish with barbecue sauce. With help of kitchen tongs, transfer cooked ribs to the baking dish. (Be careful as these will fall apart, so that you don’t get covered in hot marinade if pieces of ribs fall back into marinade once picked up). 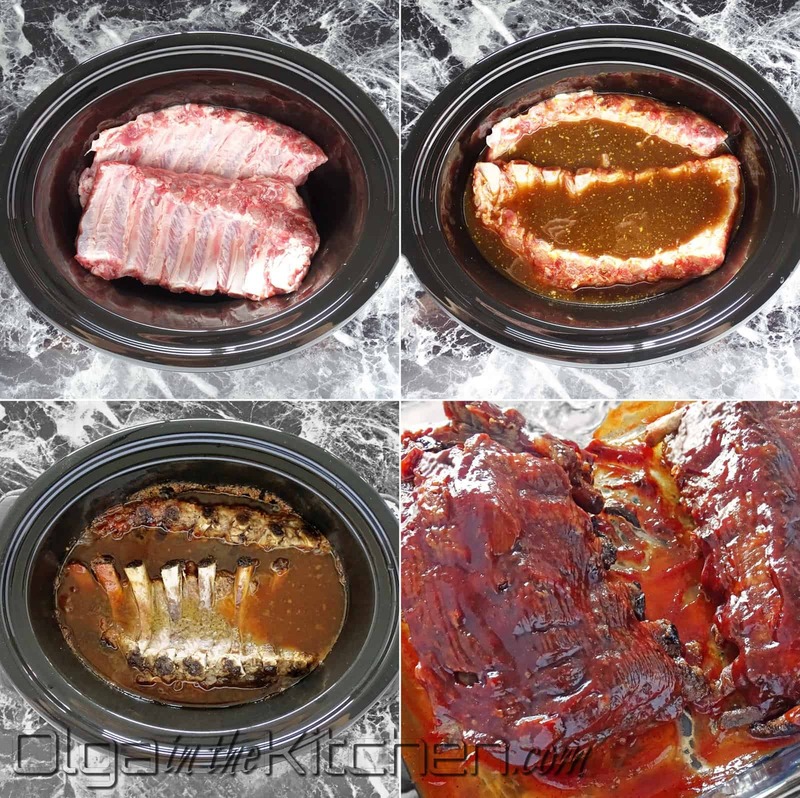 Brush ribs all over with barbecue sauce and cook for 10 mins. Serve hot and fresh. Enjoy!!! Serve with pasta, mashed potatoes and/or salad! 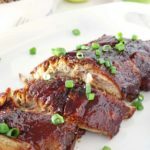 Sweet BBQ Pork Ribs in Slow Cooker: sweet, fall-apart pork ribs, crispy on top, great for any occasion. Place pork ribs into a large bowl. Add 2 cups of ice and cover with cold water. Set aside while you make the marinade (about 20-30 mins). In a large bowl, combine and whisk: 2/3 cup spicy brown mustard, 1 cup apple juice, 4 tbsps Worcestershire sauce, 2 cups packed brown sugar, 2/3 cup warmed honey and 2 tsps salt. Set aside. Rinse ribs in cold water and paper towel pat dry. Place ribs into the slow cooker bone side up. 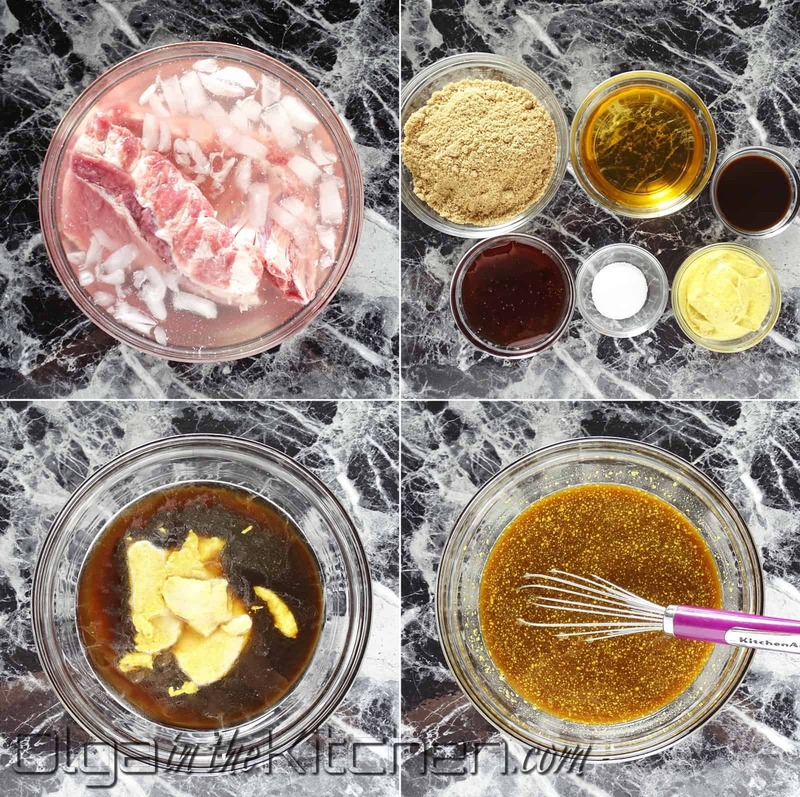 Pour the marinade over the ribs and turn ribs to dip in marinade. Set slow cooker to “Low – 5 hours”. After 4 hours, check if the meat is coming easily off the bone. 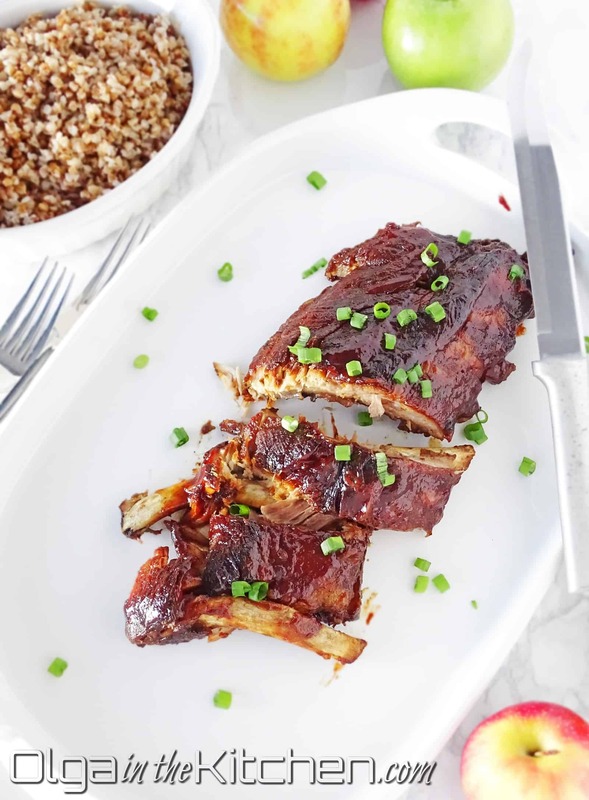 (Sometimes pork baby back ribs come less meaty and are ready in 4 hours while other times they are meatier and need to cook slightly longer). Preheat oven to 400°F. Brush bottom of baking dish with barbecue sauce. With help of kitchen tongs, transfer cooked ribs to the baking dish. (Be careful as these will fall apart, so that you don’t get covered in hot marinade if pieces of ribs fall back into marinade once picked up). 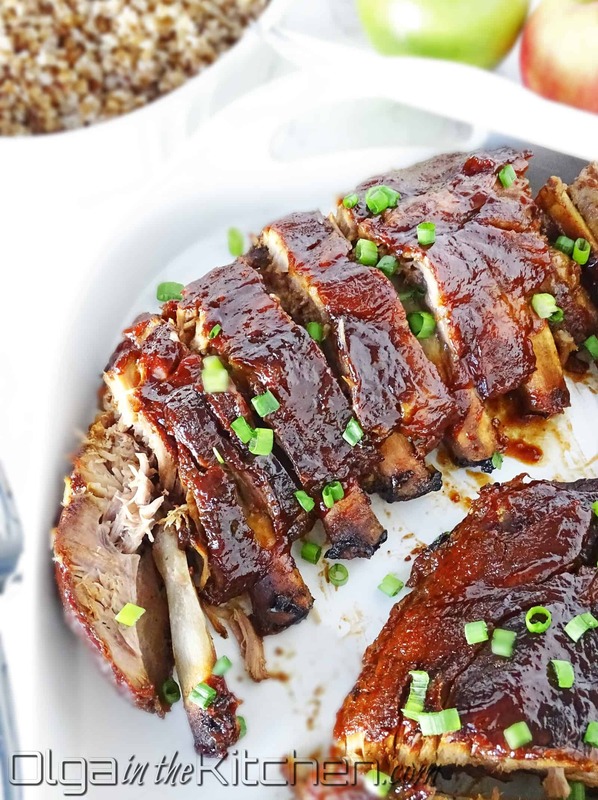 Brush ribs all over with barbecue sauce and cook for 10 mins. Serve hot and fresh. Enjoy!!! So delicious! My whole family loved them!! All this time we’ve been looking for a recipe that’s more fall apart rather than stack to bone and your recipe is a perfection! Thank you! These are like the best ribs out there! I’ve never tried such delicious ribs before. The fall-apart, it’s like melt in your mouth. Thanks Patrick! These are indeed the best!! 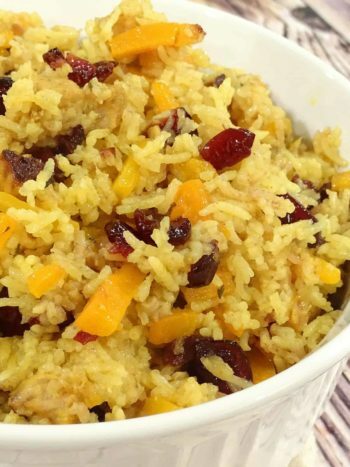 Delicious recipe and easy to make! Thank you for sharing!